Created by Honeywell and NASA in 2004, FMA Live! is an award-winning, 45-minute, live, hip-hop science education program targeted at the middle school level. 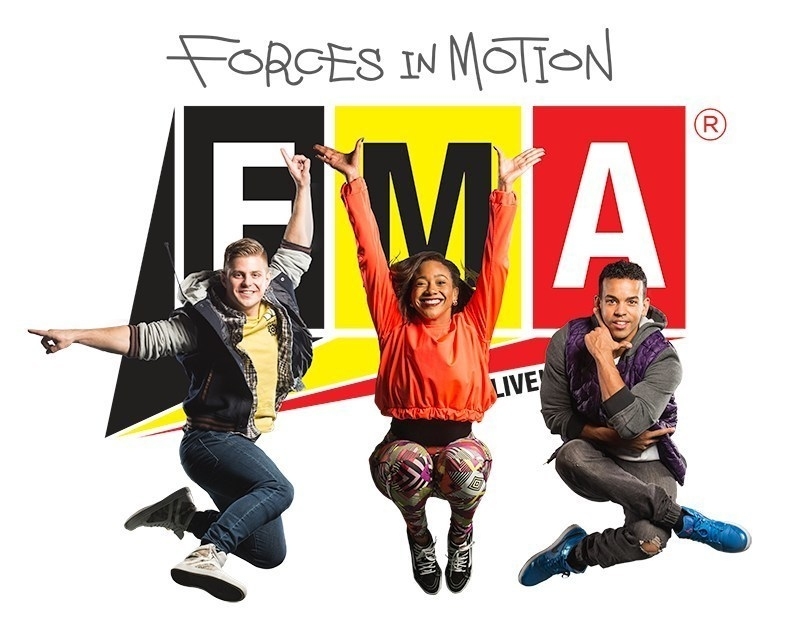 April 18, 2016 – Honeywell and NASA are proud to support their science, technology, engineering and math (STEM) education program with the award-winning, hip-hop educational experience FMA Live! Forces in Motion. The program made its return to the West Coast this month with plans to visit six states and perform at 40 public, private and military-connected middle schools. FMA Live! Forces in Motion is rolling into Colorado for performances in Sterling (Sterling Middle School), Broomfield (Westlake Middle School) and Commerce (Kearney Middle School). The popular show incorporates hip-hop music and dancers with student volunteers and on-stage, interactive science experiments to demonstrate how physics plays a role in everyday life. Since the program’s creation in 2004, the FMA Live! cast has performed before 455,000 students in more than 1,150 schools from all 48 contiguous U.S. states, as well as in Mexico and Canada. Each performance focuses on Newton’s Universal Law of Gravity and Three Laws of Motion. Named after Newton’s Second Law of Motion [Force equals Mass times Acceleration], FMA Live! uses music videos and interactive scientific demonstrations to teach and inspire students to pursue STEM careers. The FMA Live! Forces in Motion experience features an online “Teachers’ Lounge” that includes National Science Standards-based teaching resources, downloadable streaming videos, music from the show, and a comprehensive educational guide with lesson plans. This digital tool helps keep the post-show spark alive and can be incorporated into classroom learning objectives.